I love to try new International Delight flavors. So when I saw the International Delight Carmel Marshmallow flavor in sugar free and fat free, I knew I had to try this variety. Thinking even beyond just as a creamer for my coffee, the wheels were already turning about a fun after school snacks I could create with this flavor. 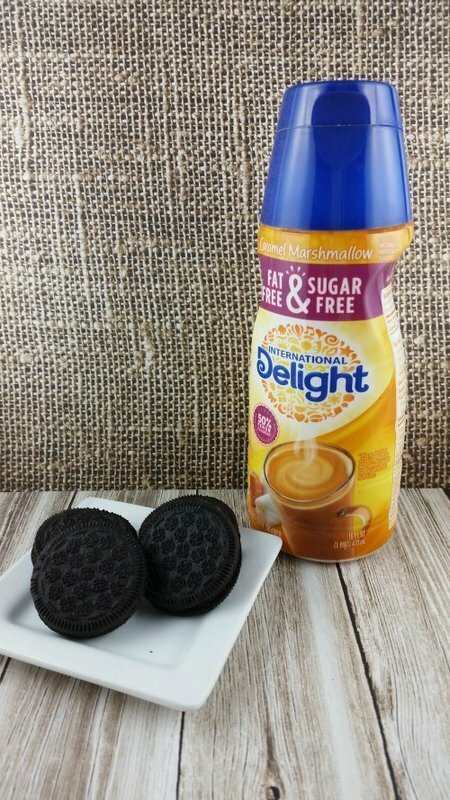 First, I tried the International Delight Caramel Marshmallow with my coffee. Of course it was a hit. It is just a shame that you can only purchase this variety in the pint size. Then, I thought it would be fun to incorporate this variety with cookies. Cookies and milk are a after school staples. 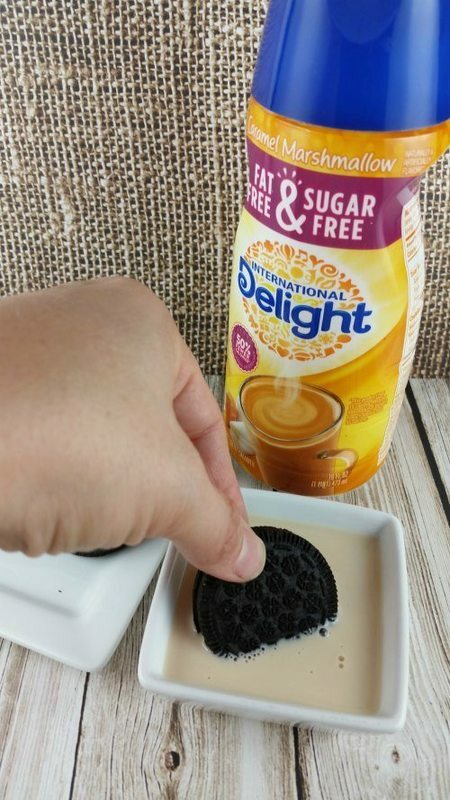 How about dipping your cookies in International Delight coffee creamers. Any of the varieties, really, will do. Just dipping them a then enjoying is quite tasty with the gooey taste of melted marshmallow with a hint of caramel. You can take it to another level though especially with the heat wave we are going through in the Midwest by making this a easy frozen treat. 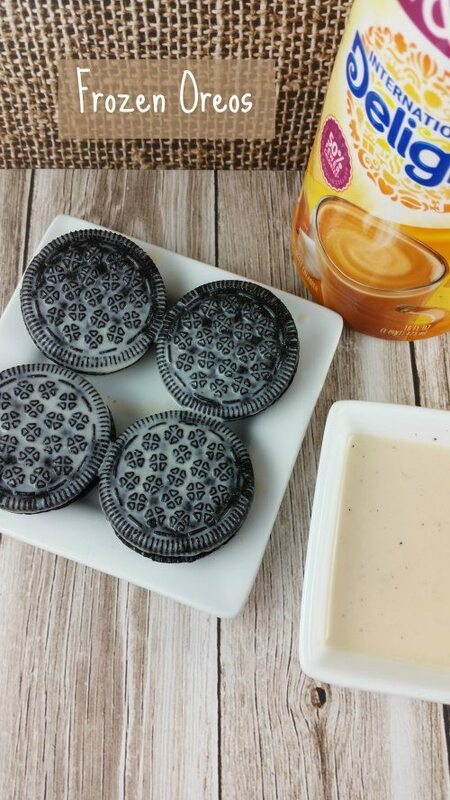 Simply dip your cookies in the International Delight Coffee Creamer of your choice and then freeze. It is a delicious yummy cold treat that is very simple to do. It is an almost homemade ice cream sandwich!